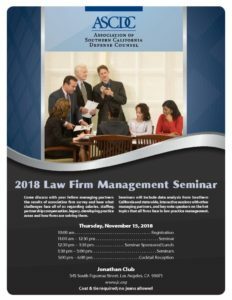 ASCDC Law Firm Management Seminar - Mantra Partner, LLC. Come discuss with your fellow managing partners the results of the law firm survey and hear what challenges face all of us regarding salaries, staffing, partnership compensation, legacy, developing practice areas and how firms are solving them. 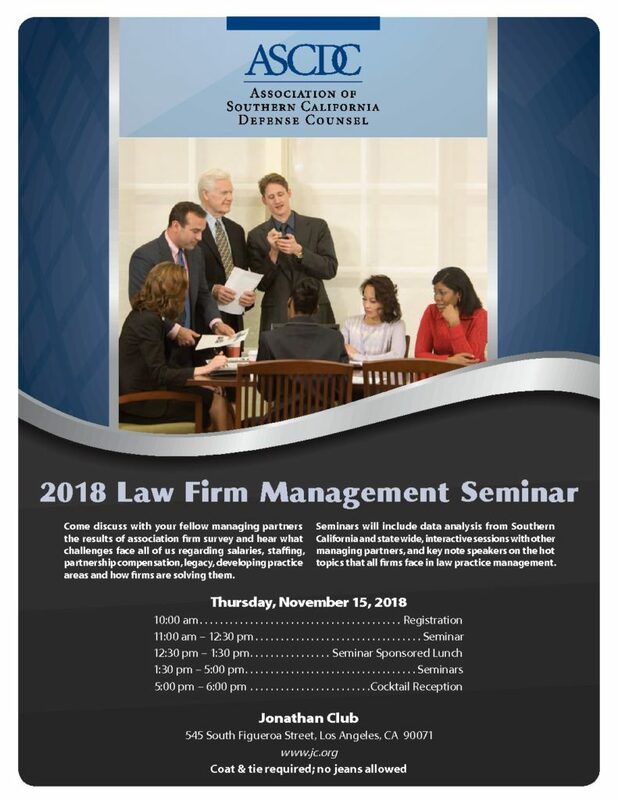 Seminars will include data analysis from Southern California and state wide, interactive sessions with other managing partners, and key note speakers on the hot topics that all firms face in law practice management.